Letters and Numbers Press Set with Holder to imprint the perfect sentiment for any occasions! Letters and Numbers are approximately 1/4 in high. 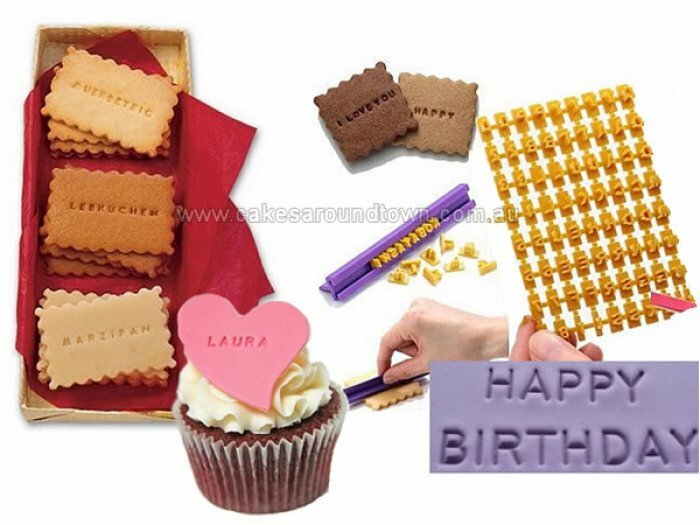 Comes with a Holder as well so you can make up any message you want and imprint them on your cookies or fondant all at once. Please note that it doesn't come with locking tabs or spaces.